Although Warriors of Sword and Spell has been released long time ago (six years ago to be more precise), all this time I was thinking that something is still to be fixed in this game. Unfortunately game code is not friendly for implementation any updates so additional patch was postponed and postponed over the time. I fixed issue where music was not played on some computers. So far, QuickTime player had to be installed on a computer to play in-game music. Of course that wasn't nice. At last this is not necessary! I slightly updated engine related to fog of war. On earlier versions, fog of war could slow down a game, especially on a bigger maps. This was very annoying - especially for me. Additionally I used this opportunity and created small trailer of a game. I think this is the best way to show how gameplay look like. So if you have not seen my game so far please spare 1 minute and watch below trailer - maybe you will like it! I also created some new screenshots where you can see more units or commanders that are present in the game. Click here to see game gallery. Version 1.16b was added into download. It uses DX9 - framerate don't drop on bigger maps on slower machines. Version 1.16 of Warriors of Sword and Spell was added to download. 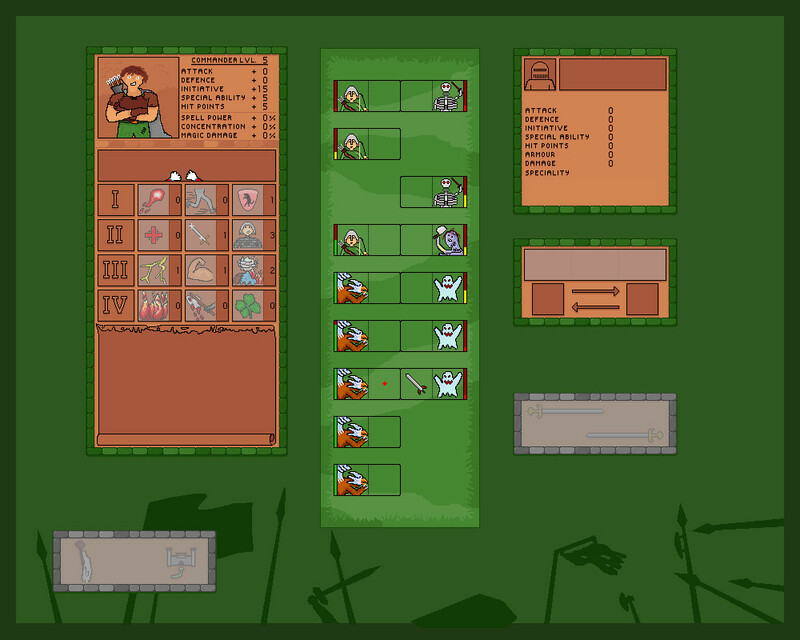 Polish version of "Warriors of Sword and Spell" - game inspired by Warlords and HoMM series. Version 1.17. 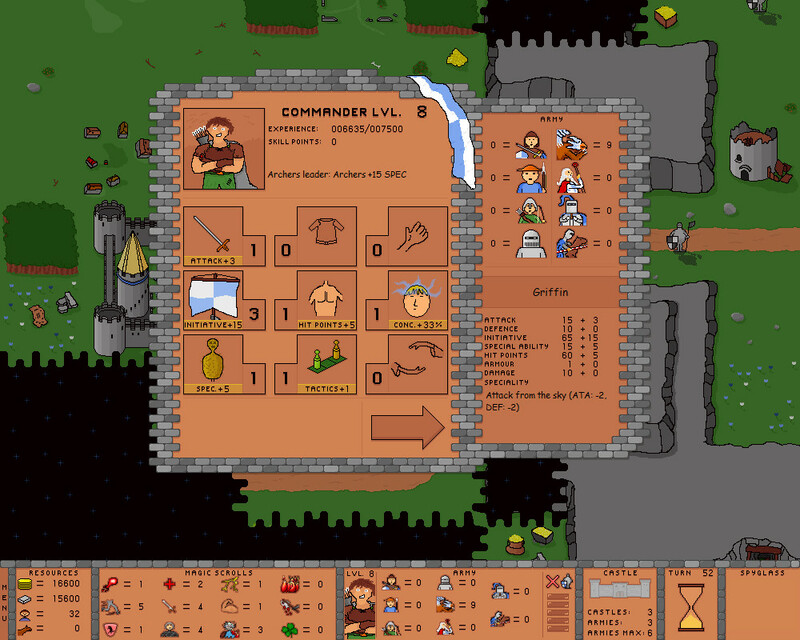 English version of "Warriors of Sword and Spell" - game inspired by Warlords and HoMM series. 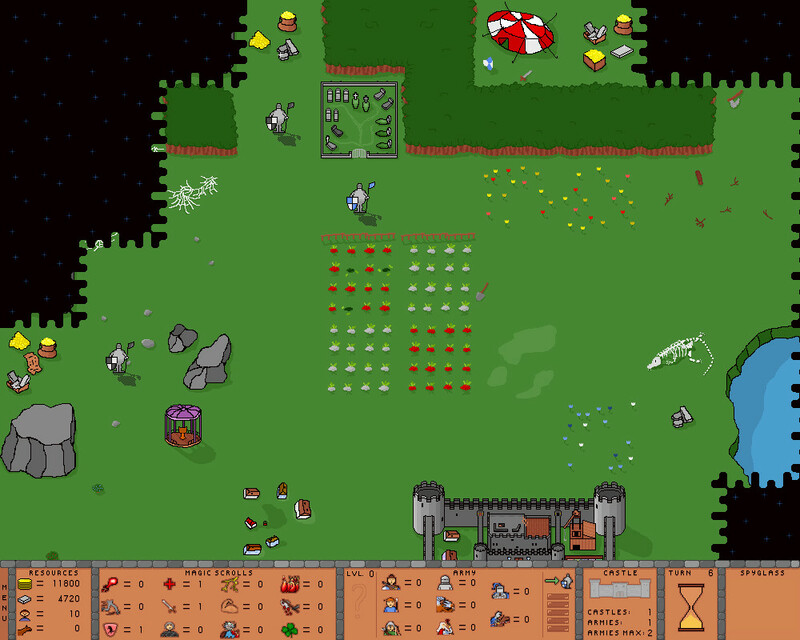 Version 1.17.
looks nice :) so is it a rts or turn based rpg?